My friend Jean is an excellent enabler. 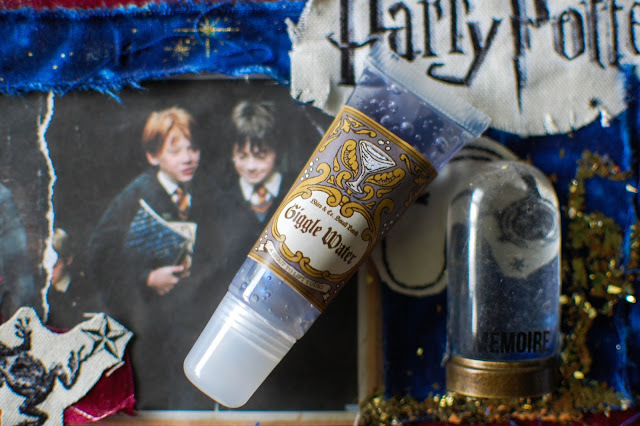 She tagged me in a post that featured these Harry Potter lip balms from Shiro Cosmetics and I simply could not resist their siren song. I did not use any color altering filters so the actual colors could be featured. These were $10 each and shipped lightening fast for a mere $2.95, wrapped in a brown paper bag with a cool black and grey dragon sticker sealing it, tucked snuggly in a padded bubble mailer. Three eyeshadow powders were offered as samples as well. 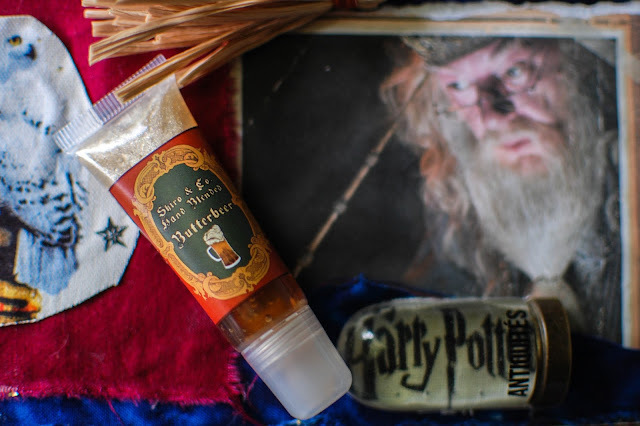 Butterbeer showcases a sheer caramel gloss with a golden pearlescent frothy foam at the top of the tube. 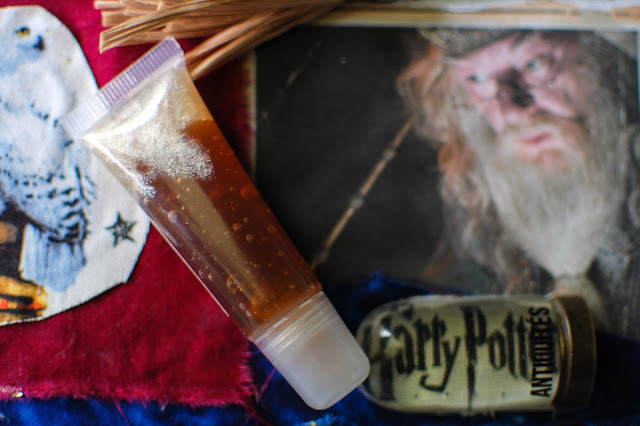 The scent and flavor is a slightly smoky version of maple and Butterbeer. I love it. It has a nice thick consistency and glassy finish. Very plush and plump. It doesn't dry out the lips after wear. A daily wearer. Pumpkin Juice houses much more pigment, though can still be sheer if applied lightly. Building the color reveals a coppery burnt caramel shade that shimmers. There is a bit of golden foamy head on this Pumpkin Juice much like the Butterbeer. 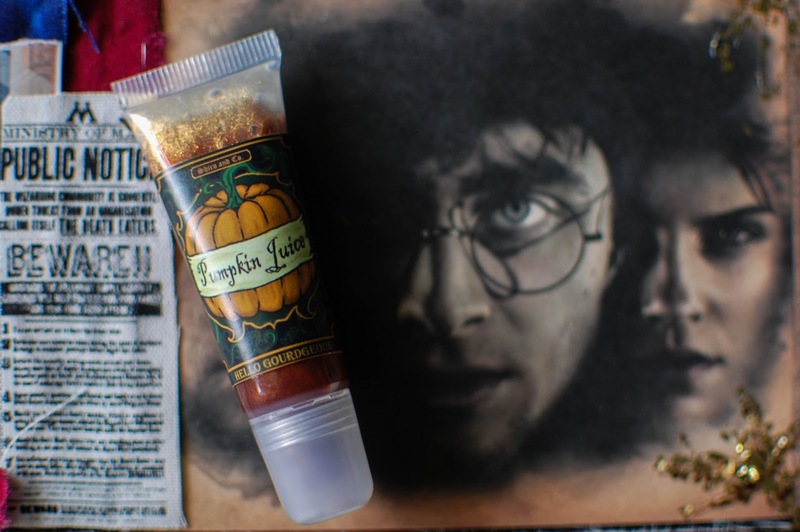 It imparts the slight scent and flavor of soft pumpkin spice, enjoyable and not distracting. I can see myself wearing this often come fall. 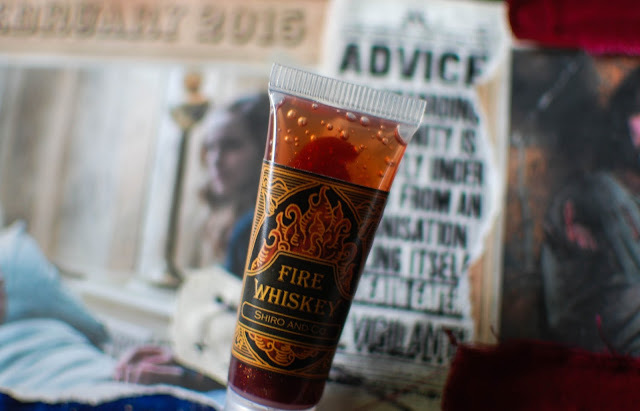 Fire Whiskey holds a bit more pigment too. This one, applied in one thin layer, imparts the most flattering purply brown shade of soft red I have ever worn. There is a slightly warming cinnamon flavor and sensation, sweetened with caramel tones. Pleasing and a joy to wear. I wanted to show the slight tip of a flame that peeks through the tube when the light is allowed to filter in. How fun is that?! Giggle Water is a lovely silvery periwinkle sheer lipgloss that gives the lips a wonderful sheen. You can almost see the sky blue shimmer peeping out the bottom of the tube. Blue toned shades make for whiter teeth so that is always a plus. This is very sheer though and won't gift you with death lips. It has a sweet herbal scent of light anise and perhaps absinth. I love it. See that plume of shimmer? Pure magic. I will always think of Jacob Kowalski when I apply it to my lips. HA! 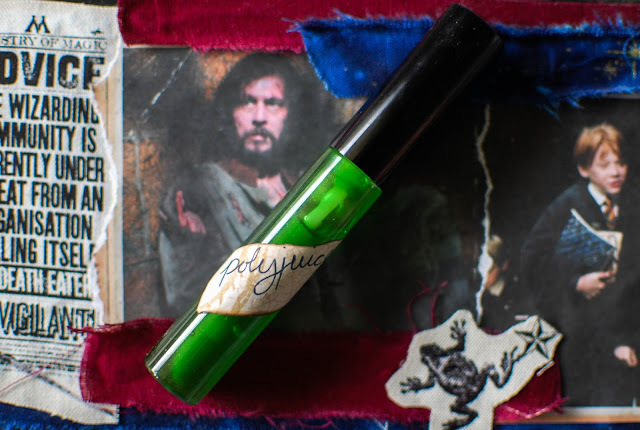 Polyjuice was $9 instead of $10 and houses a sheer green, lightly shimmered gloss with a pumpkin and pine scent and no flavor that I can detect. It feels more slippery than the tube glosses but not greasy or sticky. The shade is very sheer and ultra wearable. No zombified lips here. Just glossy goodness. Another great staple. 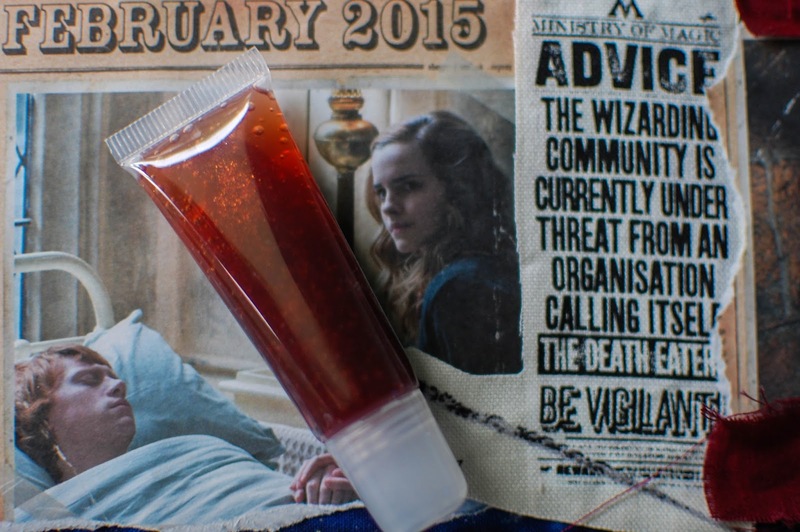 These are the glosses swatched: Polyjuice, Fire Whiskey, Butterbeer, Pumpkin Juice and Giggle Water. I didn't pick up the deep purple Every Flavor Beans, golden Felix Felicis or the fuchsia Amortentia. But I am probably going to go back for the Every Flavor Beans, they change the flavor randomly. There are other lip glosses I am eyeing as well, like the Nick Cage collection and a few others. Do you have any Shiro Cosmetics favorites? Do you wear glosses? Which of these would you pocket? 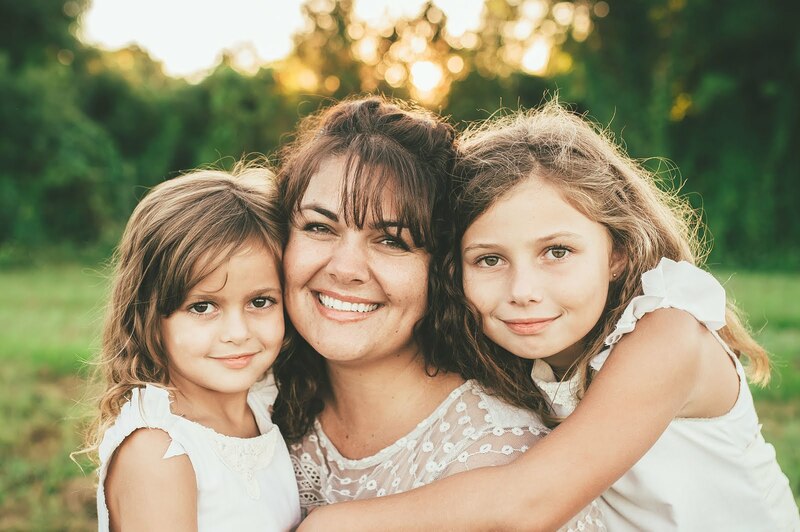 They really are fun and really awesome in quality! The best of both worlds. I keep the Butterbeer in my desk drawer and it really perks me up during the day when I apply it. A mini Potter moment if you will. I think you could totally sport the Pumpkin Juice. It can sheer out nicely if you wanna give it a go >eyebrow wiggle< It will feel like fall ON YOUR LIPS!!!! ���������� These are soo fun and speak to my geeky themed Potter loving heart! Lol. Going to the website to look now! Pumpkin Juice just of course stands out to me. Yay!!! They spoke to mine too! The Pumpkin Juice is just so stinking nice for fall! And really, I think the price is worth the little splurge. How cool! 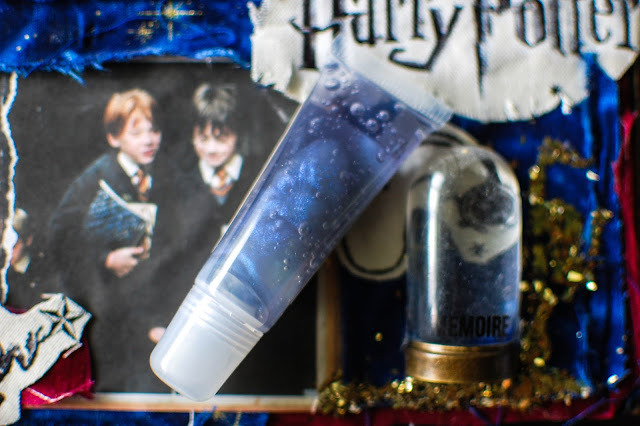 And they really do look like little potion bottles filled with shimmery, bubbly stuff. Super cute. They do!!!! So much whimsy and cheerful magical antics going on here. They look divine. 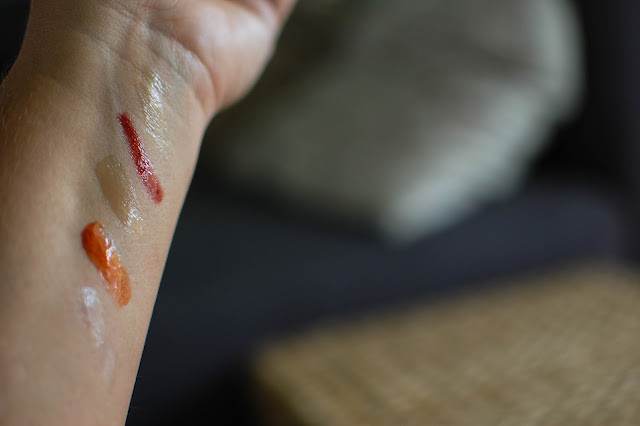 I have been known to buy gloss and then never wear it because I'm not into the sticky stuff and most formulas are too gloopy. 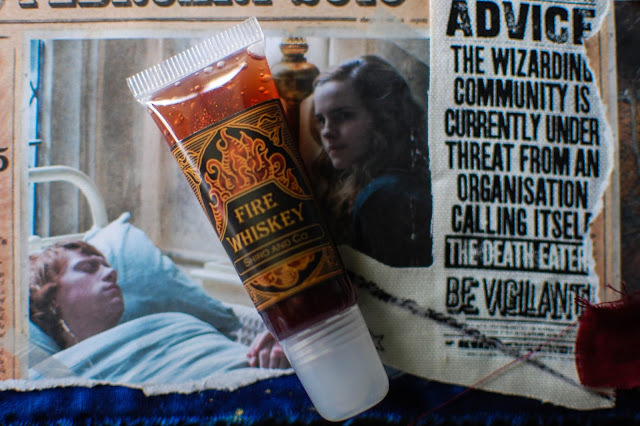 I don't think those colors are for me, but the Fire Whiskey looks captivating, I'm sure you will rock it this fall:) Thanks for the color swatches. Thanks! 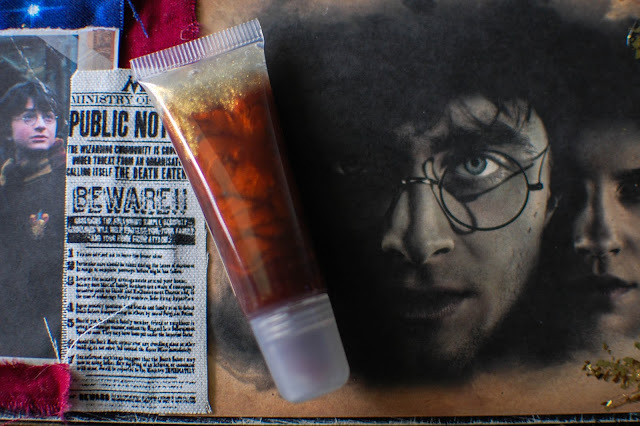 I have been sporting my Butterbeer one every day. Still very much in love. I can understand the dislike for the sticky goop. My gloss pet peeve are ones that feel numbing or too chemical laden. They make my lips feel weird.